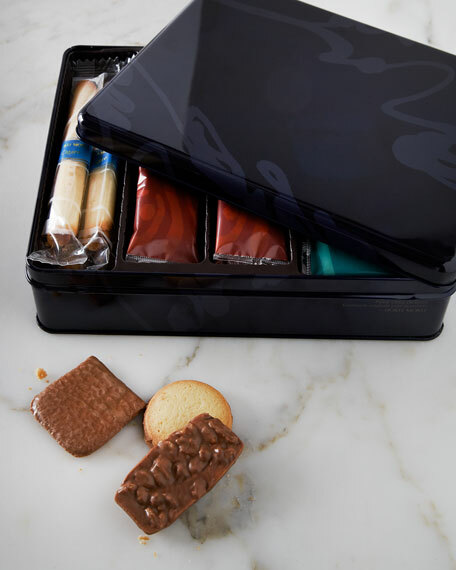 Assortment of individually wrapped butter-vanilla and shortbread cookies including almond, macadamia, and milk-chocolate varieties. Made with all natural ingredients; no preservatives. Contains 28 cookies; net wt. 8.41 oz. For in-store inquiries, use sku #272277.